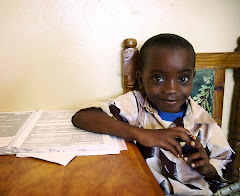 The American Foundation for Children with AIDS has teamed up with GoodSearch.com to raise money for kids with AIDS. If you've been looking for a free and effortless way to help children with AIDS, this is a great way to do it. Whenever you search for something online, search through GoodSearch.com rather than pulling up your regular search engine. The search process works the same, but each time you search through GoodSearch.com , money is generated to our organization. Just go to GoodSearch.com, type in your search, and then type in American Foundation for Children with AIDS in the Who do you GoodSearch for box. Then click the button for Search the Web, and your results will be displayed as usual. What a great way to raise money for a good cause just by doing what you ordinarily do throughout the day! Good day! I could have sworn I've visited this web site before but after looking at a few of the posts I realized it's new to me.